In the previous post I briefly discussed the problem of Luke as real history. I used the analogy on a film based on historical events. Luke was forced to select from a wide range of events those which fit his over all agenda and adapt what he did choose to fit the format of a short book. Perhaps the best example of this is the dramatic introduction of the main character of two-thirds of the book. At the end of Chapter 7, Saul is introduced as “approving” the stoning of Stephen. Luke then drops him from the narrative for a chapter to create tension. The reader knows show this shadowy figure is, but Luke wants to build anticipation for Saul’s introduction. In chapter 9 Saul encounters Jesus on the road to Damascus and is told he will be the “light to the Gentiles,” yet the plot line is dropped. Luke tells a series of stories about Peter before picking up the thread of Paul’s ministry in chapter 13. This is the work of a story-teller, teasing his readers with hints and foreshadowing of what we know must be coming. This way of writing history employs a number of rhetorical principles common in history writing in antiquity. Philip Satterthwaite lists elements such as selection and arrangement of material as methods common in Greco-Roman histories. Luke selected some material and ignores the rest. For Luke, who Paul is and how he came to be a part of the Jesus Movement is important, what Thomas did after the resurrection is of no interest at all. By arranging the stories as he has, Luke highlights the importance of Paul for his overall agenda. In fact, Craig Keener points out that rhetorical techniques were pervasive in ancient historiography (1:131). Although historians sought to restrain themselves, no one opposed good rhetorical technique in history writing. While Polybius was accused of over-using rhetoric to stress the importance of his topic, ancient writers all used literary conventions in order to write a history that was pleasing to the reader. This makes sense, since no one really wants to read the raw facts of history. A history writer always struggles to find a way to fairly present dry facts in a compelling way. This is why children learn more about history from educational cartoons than their history textbooks. Telling a story of a child who witnesses the events of the American Revolution is more compelling than memorizing a list of facts drawn from American history. There is some range of opinion for how well Luke was trained in rhetoric. While scholars like Satterthwaite think Luke was heavily influenced by Greco-Roman rhetorical conventions (337), but Richard Pervo thinks Luke’s use of these styles would be considered rather unrefined to most educated Greek readers (Keener, 139). Keener explains Luke’s use of rhetoric by observing that his target audience is not necessarily the elite historian. In fact, there was no “professional historian” in the first century who would have naturally read a book like Acts. No one will place Luke’s book in the same category as the classic Greek historians, but he does work very hard to create a compelling story in order to present the expansion of Christianity. One implication of Luke’s use of contemporary Greco-Roman conventions for writing “history as story” is that his original readers would have understood his presentation as a legitimate history, even though it might not qualify as history in the modern sense of the word. I suspect one’s faith commitment to Scripture will have a bearing on this issue, but to what extent does this view of “Luke as Historian” differ from contemporary understanding of history writing? Does it limit (or exclude, some would say) the book of Acts as a source for understanding the church in the first century? Bibliography: Satterthwaite, Philip. “Acts Against the Background of Classical Rhetoric.” Pages 337-80 in The Book of Acts in its First Century Setting, Volume 1. Grand Rapids, Mich.: Eerdmans, 1993. Good post. I like the quote given by F.F. Bruce of a statement by Sir William Ramsay…”Luke is a historian of the first rank”…which goes on to list Ramsay’s reasons why…in Bruce’s book The New Testament Documents:Are They Reliable? on page 91. Luke does a very good job at sharing history through the lens of a story. This was not something that was unusual for that time, because as stated above it was a way to get people to understand history in a clearer simplified form. We see through Jesus’s example of His teachings of how we would simplify very important lessons and key values so that the people of His time were able to comprehend the message. Stories such as the parable of the widow who gave all she had to the church, or of the story of having faith like a mustard seed. Each of these stories were given to bring to light something bigger than just the short tale. Luke through his story telling of history uses various techniques to help the readers obtain all the can from it. “Luke draws upon a host of techniques as a mean to shaping this material into a coherent account that bears clear resemblance to both biblical and Greco-Roman historiology.” (Jipp, 6). These techniques are the following: having various speeches and preaching which can be interpreted by the reader, He uses historical events such as the persecution of the believers in Jerusalem which makes the desire to move out and spread the word even more. He uses chronological order with that of historical events. Luke does a very good job at making sure that through his story telling he is still able to stick with the historical facts. He is being guided by the Holy Spirit which is why Acts although mostly in story form is still a very good source for understanding history and the church. Elly, I like how you mentioned that Luke used stories in order to simplify and help others understand the lessons in a clear way. I also have been learning in many of my education classes that stories are great ways for us to get messages across in ways that will actually tug at the emotions of the readers. Many people who read text books or text book style writings often get bored and lose their interest in the subject because there is nothing there to catch their emotions and feelings in the way that narratives can. It can be perfectly summed up when you said that these stories are used to tell a bigger tale. In Reading Acts by Jipp, he talked about the same concept of how Luke used this writing technique in a way that shape the account into both a biblical and Greco-Roman historiology (Jipp, 6). Because Luke uses foreshadowing twist into the stories, the message is easy to pick up and develop ideas and truth upon it. When information is taught in a manner that boring or based on a lecture, important information can be missed. When were is a gap for understanding, with imagination, it allows the reader to develop an understanding that best suits their learning and personality. A common store that can be used to new believers is the parable of the lost sheep, resembling that God will leave the ones who are not spiritual lost and go seek the one who is. They will be lost but found. “Luke intended his account to function as history and he intended it to be an account of what he thought actually happened” (Jipp, 8). He speaks on real people and events that occurred. Luke helps explain history through story so the meaning is not left out. With the way Luke wrote Acts, I think he wrote it the way he did on purpose. He wanted to use a different style of writing to help connect different thought processes and key factors and while it was not one hundred percent accepted by historians, there is a reason. Changing the language or writing style can help keep a reader involved in what is being said. “Luke’s stated purpose, then is that his audience would have some level of certainty and confidence in the truth of what he narrates. This by no means should cause us to uncritically underestimate Luke’s creative shaping of the events and speeches he passes on” (Jipp, 9). In other words, just because Luke is writing in a different way to tell the story, he still is including the historical factor and connecting with what is actually happening (Jipp, 8), that does not mean it is not accurate. Luke is just explaining history in a story form to keep his readers engaged. It is interesting to me how different the book of Acts is when it comes to historical writings. The fact that Luke decided to write about the early church as a story is unique and, I would have to agree with you, allows readers to be more engaged with the text itself. Jipp says that “Acts often narrates the fulfillment of something that was predicted in the Gospel” (Jipp 11). Even though Luke chose to write in story form, he was able to portray the outcome of something that the Gospels predicted. Luke still has a lot of history throughout his book, it is just done in a unique way that was not accepted during the period that he was writing. I was always one of those people that had an issue listening in History class when it was lectures. Stories always had a way of pulling me in and reaching me better than any lecture could. I do not believe that the definition of “history” should limit Luke’s writing. “Luke almost certainly had access to a variety of sources (written and oral), traditions, and some eyewitness testimonies about the events he describes” (Jipp 7). While Luke writes the book of Acts like a story, he uses facts and not fiction. He gives us all of the information while keeping us engaged and active in the story. Sometimes, when learning about church history, I have found it to be dull and boring because it seems like just another piece of information that we have to know. Also, I get lost in all of the facts and figures. However, with Acts, we get this story that continues to flow and keeps us engaged so that we can learn about the expansion of the church. Luke presents us the facts and keeps his historical integrity and keeps us engaged throughout the whole story. Luke’s use of story to share history in the book of Acts is actually brilliant. Though it is a different writing style than the authors of his time, it clearly communicates the stories he intended to share. Despite the fact that he did not write in a contemporary way, the book did contain all the necessary features of a story, such as the plot, characters, setting, etc. (Jipp 3). Most historic authors “struggle to find a way to fairly present dry facts in a compelling way” (Long), especially when trying to include all of the story that goes along with the history, yet somehow it seems Luke had it mastered. Some scholars suggest that because Luke writes in a different way and relies so heavily on story that his work in Acts is not a valid source of history for the modern church. I would suggest that the characters and their story, that Luke relies on, actually offer a profound and deep insight into the beginning of the Modern church. Even Acts 1 alone contains many different personal insights in the life of the disciples. Readers can see how they were struggling with Jesus leaving and understanding when He would return. They were also attempting to find a replacement for Judas and Acts 1:15-26 shows their process from an insider’s perspective. Following the narrative of characters is a fresh way to look at history. Seeing their feelings, thoughts, and conversations helps biblical readers understand further how the church began. In addition to this, “The numerous speeches by these characters provide important interpretation of the events and the unfolding of the plot” (Jipp 3). Though Luke took a whole new approach on writing historical events, it appears that he may have uncovered the best way to do it. When it comes to learning history, I have always been the one who learns better through stories rather than history books. So, when it was mentioned above that telling a story of someone who witnessed an event in history is more compelling to people than memorizing a list of facts, I could relate to that (Long 2019). When you look at the book of Acts and the story that it portrays, it is important to not discredit it for the history that it does bring, especially of the early church. 2 Timothy even says that “all Scripture is breathed out by God” (3:16 ESV). With that in mind, the book of Acts was written in a way that God saw fit. Joshua Jipp states in his book “Reading Acts” that “good readings of Acts, then, will not only analyze the text for theological themes but will enjoy…how Luke tells stories as a means of proclaiming the overarching story of the foundation of the church” (Jipp 6). Jipp also includes that Luke would have had access to historical writings and sources that would aid him in the writing of this book (Jipp 7). By writing the book the way that he did, Luke is able to tell the history through the eyes of the people that were right there experiencing it. God had Luke write acts in a very intentional way. Him making Paul very important was God’s way of introducing Paul, the writer of 13 books of the Bible. I think Acts provides a history of how the early church grew and changed from how things were done in the old testament. I think the story in act provides a example of how lives are changed through Jesus and how that can continue through the church. Luke provides this example through things that he had seen, heard about and lived through. “Luke intended his account to function as history and he intended it to be an account of what he thought actually happened” (Jipp, 8). Through Luke’s account we get a picture of the time period and the events forming the church. I believe it is important to introduce such important information in an interesting yet simple way so that people will fully comprehend what you are saying. However, the rhetoric in which Luke fulfilled in his tellings could potentially be a hazard to mankind! If you think about the way some people interpret the Bible today, varieties of interpretation can cause confusion and take away from the pure and honest truth. It really does depend on what information is being left out or embellished, but it could lead to confusion or poor interpretation. Then again, Luke was not a historian and he was not intending to give a history lesson, therefore I can cut him some slack. I appreciate the example of how history is taught today, especially to young children. I remember in elementary school watching cartoons with upbeat music, telling me about the history of America. I can say for a fact that if I had been faced with a lengthy, dry lecture I would not have retained a single second of information. It is important to recognize Luke’s intentions in his tellings which are to “write an orderly and careful account…so that you may know the certainty of things about which you have been instructed” (Luke 1:3b-4). Looking back on his good intentions and his orderly and clear portrayal, I believe he could be reliable. Luke is a unique writer. He presents the story, the history by pointing out the takeaways in a simple way. Luke does not just give the answers away. He is a professional story-teller, I think of my time in elementary at the library, my class would have one of the librarians tell us a story. They knew how to grasp our attention and hold suspension for what was to come next. Luke does the same thing here in Acts as he tells the history and highlighting individuals. He builds the suspense, but at the same time giving predictions for what is next. I think when looking at Luke as a historian, we question the differences in comparison to other historical writers. This, however, does not necessarily take all credit away from Luke as a historian. He may present the stories differently, but this does not take away from the truths that he did write. Luke used his different styles of writing to make different elements rise to the surface, that can sometimes be overlooked. His writing does make us question different situations and relations with characters, but that is not a bad thing. It helps us understand their time, the hardships, the feeling and thoughts behind different characters. In looking at the big picture of the differences and questioning if it limits or excludes the book as a source, I would say no. Although we cannot see the original manuscripts to compare, Luke had a purpose in writing what he did and the way he did it. This opened up a new way of comprehending and understanding these times in the church during the first century. It is something we have the opportunity to look at in a new way. The literary features and the narrative style of story telling gives more of a personal understanding and gives more personification to the figures in the book of Acts that both allows them to be told as historical figures, but as literary characters as well. This is done so that the reader can not only appreciate the book of Acts as a historical book, but also enjoy it as a story as well, and to see and understand the story of Paul in a way that is more of a narrative to be able to characterize and personify Paul (Jipp 5). 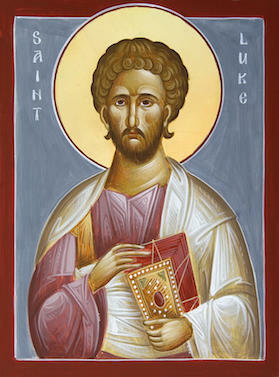 The issue that makes this a controversial and why people believe that this should be more of an epic than a historical book was because the sources that Luke had available to him for when he wrote the book of Luke were more readily available and citable than the sources believed to be used for the book of Acts (Jipp 6-7). The intent of the retelling was to be historical, but there was the narrative style to it that the book of Acts is known for as well. Because of these factors, I would argue that it only gives us more of an opportunity to understand the church, because the book of Acts does really personify the church, and therefore we get to see some of the characters and have a deeper understanding of the people within the early church.